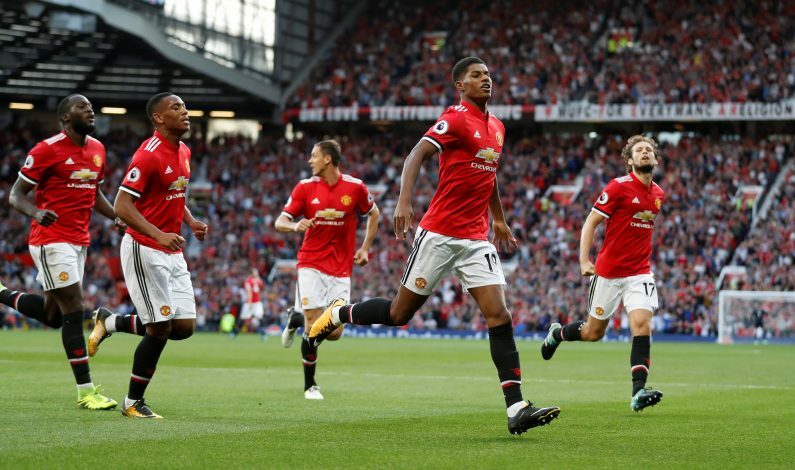 Following a frustrating first half, Manchester United came good in the second half to secure a 2-0 win over Leicester City. Jose Mourinho can take all the credit for the win, with all three of his second half substitutions getting involved in the 2 goals to win the match. The result keeps the Red Devils at the top of the table. Let’s analyze the performances of the players from both the teams. 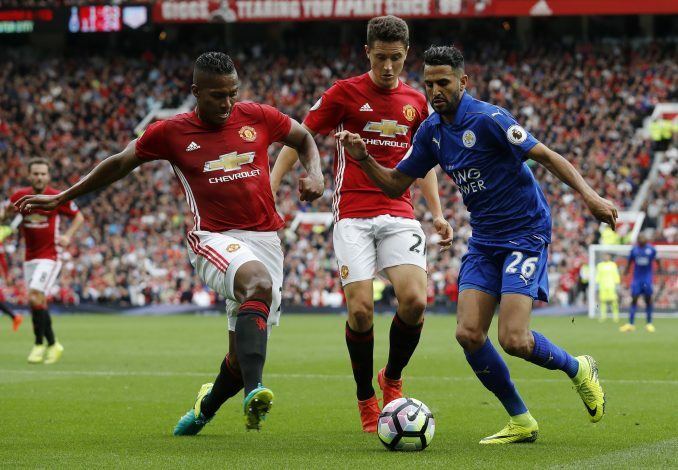 The Spaniard did well whenever Leicester City came knocking on Manchester United goal. Made a few good saves and looked comfortable with his distribution. The Ecuadorian full-back was hard working and swift as usual. Got in decent positions to cross from out wide and made good interchanges with attacking players on occasions. The no-nonsense Ivorian defender looked shaky at times in the tight spaces today. Have had many better games than he had today. The English defender looks like a man re-born this season. Jones continued his impressive start to the season by putting in yet another solid display. Dealt well with the trickery of Mahrez. The versatile Dutch player has taken well to the left-back position to make it his. As usual, composed on both ends of the pitch throughout the match. Matic had a good game, but the Serbian couldn’t match his performances from first two matches, where he was exemplary. Did his job defensively. Could have been better going forward, though. Didn’t do anything special in the game today. Perhaps, tried too hard to do that something special by blazing the ball off the target from long range on a number of occasions. Gave away possession cheaply in midfield, which could have hurt his team. The Spaniard was rightly substituted in the second half. Couldn’t get the game going as he likes. 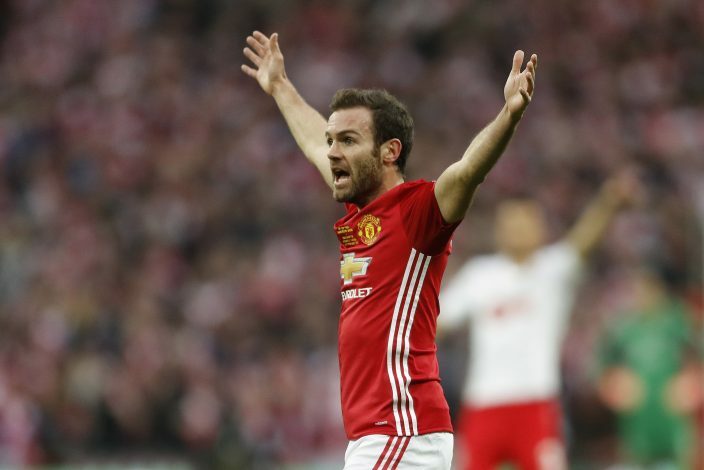 Seemed separated from the game on the flanks, and might prefer to play in Mkhitaryan’s position – which is a problem, given the Armenian’s form. The playmaker got yet another assist, taking his tally up to 5 assists in 3 games. Proving irreplaceable in the attacking setup for Manchester United. The French attacker was frightening going forward with his pace and dribbling at times. Couldn’t get end product at the end of those runs though. The Belgian had an off game in the red shirt for the first time. Was poor with his penalty and failed to score on a couple of good opportunities. The Danish shot-stopper made a number of impressive saves for his team. Could have done better with Rashford’s goal, though. The right-back was not having a great game with Martial testing him when cutting in from the left. Gave away the penalty with handball on a cross. 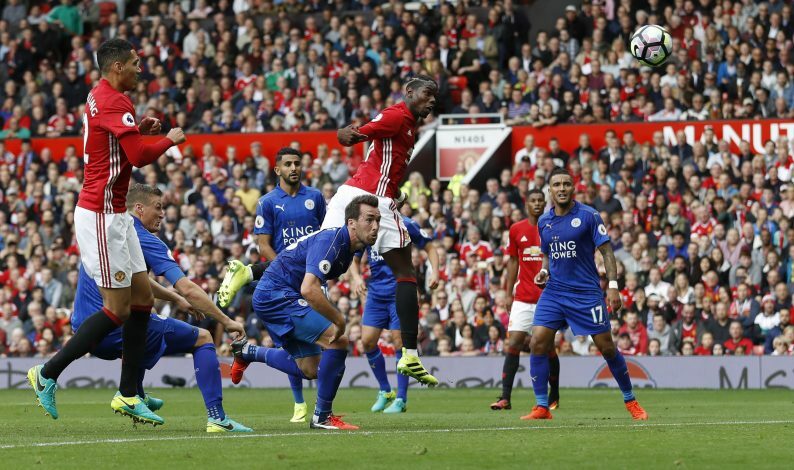 The Leicester captain won quite a few aerial duels against the big Belgian striker as his opponent. Was at fault for not closing down Lingard soon enough for Fellaini’s goal. The English defender has been called for international duty, and you can see why. Was great in the air and while tackling, but the most striking part of his game was his ability to play out from the back. Much like the right-back for Leicester, their left-back was also poor today. Fuchs didn’t contribute anything remarkable in attacking or defensive sense during the whole match. The Algerian tried all his flicks and tricks during the match and even succeeded at times. However, couldn’t make that final telling pass or shot to make the difference for his team. The English midfielder did a good job defensively, especially during the aerial duels in midfield. But couldn’t muster anything good going forward. Much like his midfield partner, didn’t create anything going forward. Showed typical industry in the middle of the park. Albrighton was not influential, as he cut a frustrating figure on the left for most of the match. Didn’t get his crossing game going today. The picture of perpetual motion till he got substituted in the second half. Had an opportunity to shoot from outside the box, but couldn’t get the power or direction to trouble De Gea. The pacy threat of Jamie Vardy was neutralized by the quick Bailly and Jones. Tried to do everything he could till he was substituted for Slimani.